How Important is Second Language for your Child? Often in the rush to focus on the major subjects that are universally accepted to build a student’s career, a second language in the school’s curriculum is regarded as an added pressure inducing subject. Most parents voice their opinion to give up the second language totally while students often concentrate less to give more time to science or commerce. While there’s no denying that the major subjects require more attention, but the importance of a second language cannot be neglected as well. Being bilingual has its own benefits, both direct and hidden, and the best school in Sonepat does not keep the second language as an option. Most parents prefer English to be the primary medium in schools, and with good reason, but when it comes to relocation, fluency in just one language may not be helpful. English is still a restricted language for many and students may face communication barriers in a new place. Fluency in a second language will help them to be more social, promote interaction and make relocation, both during their academic and professional phases, easy. Students can easily mix with the locals and survive without any hindrance. The ability to read, speak and write more than one language will show its benefits after the students complete their academic lives. In the current age, when almost all companies are spread out over the entire country and even the world, bilingual candidates are seen as an asset by recruiting firms. The greater the number of languages that the students can show proficiency in, the better opportunities will await them. And the top 5 school in Sonepat designs their curriculum to equip students with the necessary skills. Knowing a second language or a third opens up career opportunities that see low competition and high pay due to the lack of professionals. Students can take up jobs as translators for diplomats or work to translate or restore manuscripts or books. There are jobs even in the entertainment sector where knowing more than one language is always a boon. Diversifying the lingual abilities create more options where growth prospects are lucrative and numerous. Both government and private sectors have immense demand for students with knowledge of multiple languages. Studies conducted by a group of neuroscientists have shown that students who studied two languages simultaneously have more gray matter, the part which directs our control, than their monolingual counterparts. Scan reports of the former group showed greater focus and attention along with enhanced creative and problem-solving skills. Learning two separate languages tends to challenge the brain during its development stage that instills multi-tasking capabilities, greater recall from memory abilities and higher retention skills. One language limits the brain’s performance while adding another diversifies its capabilities. Knowledge of a new language opens a whole new world of resources for the students from where they can derive different viewpoints and perspectives. Every language is a doorway to a new culture from where students can learn life lessons. Much of the essence of a book is lost during translation and learning may become truncated with mastery of one language. A second language will help students to read the raw manuscript of that culture which will help in developing newer perspectives. Bilingual students are naturally more informed, rational and vocal during their lifetime. Fluency in more than one language helps students to explore and advance their social skills. Well-connected people have a better professional and personal life and networking also help in boosting future job opportunities. Students can step out of their comfort zones to talk to new people, form healthier connections and learn from a variety of sources. Speaking in a local language instantly creates a bond and removes any social awkwardness. A second language indirectly feeds the social need of students which helps them to reach greater heights and lead a quality life. And the lesson must come during the schooling phase. While the argument stands that a new language can be learned at any age, but devoting time to it as a child ticks all the above boxes. Being bilingual from the beginning give students the necessary head start in their careers and they can opt to add to their lingual vessels later in their life. 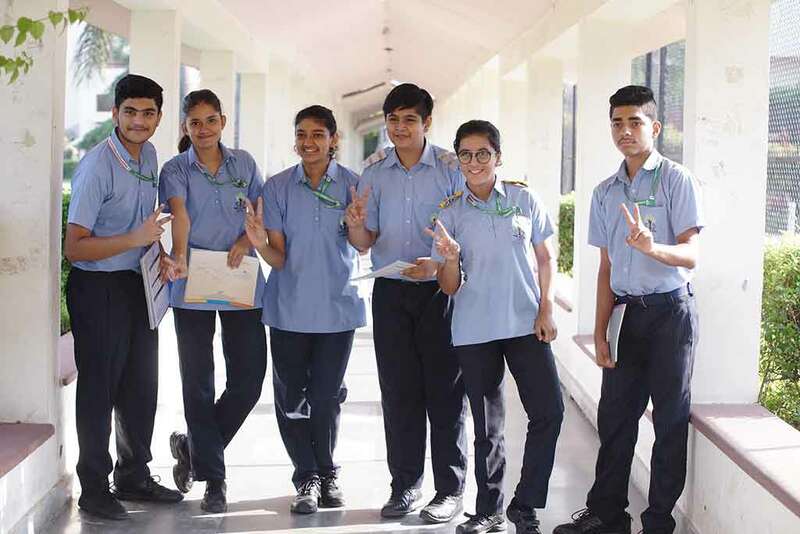 Swarnprastha, one of the top CBSE schools in Sonepat, understands and respects the need for a second language and gives equal importance to it along with the major subjects. Students develop fluency in all respects and the faculty makes sure that every student shares the benefits equally. So, find such an institute where a second language is never an option and there’s provision for selecting a third and fourth as well. Let your child develop faster and better and lead a rich life.